Hôtel Charing Cross is a 10-minute walk from Printemps and Galeries Lafayette department stores. It is 200 metres from Saint Lazare Train Station, offering direct access to the capital’s sights. Guest rooms at Charing Cross are decorated in neutral tones and offer a minibar and an electric kettle. All rooms also feature cable TV and affordable Wi-Fi internet access. 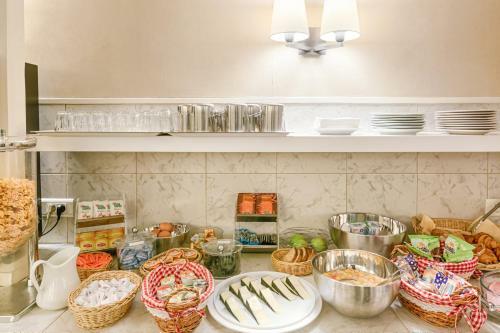 A buffet breakfast of fresh croissants, fruit juice and hot coffee is offered every morning in the breakfast room. Guests also have the option to dine in the comfort of their room. Additional facilities include a currency exchange service and a lift that serves all of the rooms. Local transport links provide direct access to Montmartre and Place de la Concorde. Equipped with cable TV and a telephone, this en suite room features a minibar, tea- and coffee-maker and electric kettle. Rate: € 114.00 ... € 392.00; select dates below to get current rates.